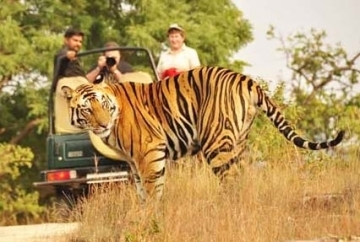 Bandhavgarh National Park is a popular national park of India, acclaimed for its dense population of tigers. 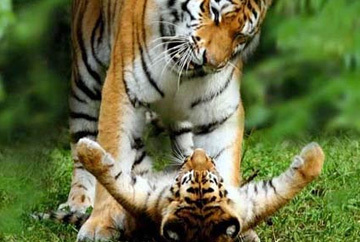 One of the highest densities of Bengal Tigers in the world is found here in this park. Bandhavgarh has a rich variety of flora and fauna that allures wildlife-lovers to visit this national park in Madhya Pradesh. 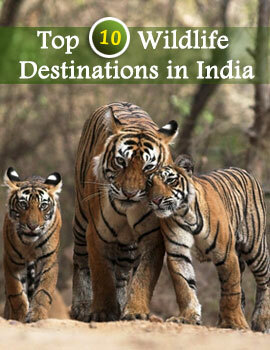 From Chinkaras, grazing on the grasslands to the Nilgais and Bisons, Bandhavgarh boasts of a vast array of animals. 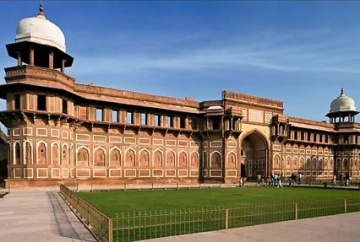 The park is divided into four core zones; Tala, Panpatta, Khitauli and Magdhi. Total area of the park is 694 km sq and the title of National Park belongs to Tala Region. On your tour through the dense woodlands in a safari or a boat cruise you might get a glimpse of animals like Nilgai, Chausingha, Chital, Chinkara, Langurs, Monkeys, Muntjac, Wild Boar and Jackals. 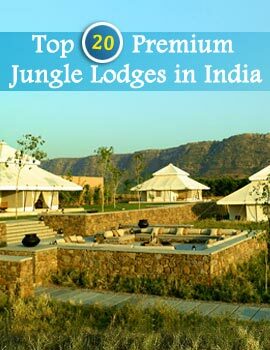 Besides the animals there are also a variety of birds and butterflies which are a part of the Bandhavgarh Wildlife. Nature-lovers love to explore the dense and thickly forested regions of Bandhavgarh, for its varied topography and varied collection of animal and plant life. 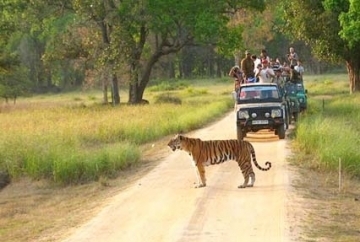 Bandhavgarh National Park is well-known for its population of tigers. 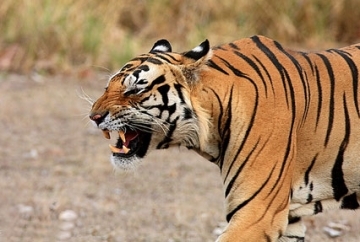 What is interesting about the tigers of Bandhavgarh National Park is that there are tales and stories about them, like the story of tigress Charger, which was popular for its aggressive behavior. Though leopards of the park are mainly inhabited in the core area but they are also sighted in the buffer zone of Bandhavgarh National Park. This animal is somewhat smaller than tiger. Leopards love to eat barking deer, spotted deer, wild boar, chinkara, live stock and langur. Another mammal which is easily spotted in the park, Sambar deer is the largest deer you can find in Asia. It weighs around 225-320 kg and height of its shoulder is about 150 cm. 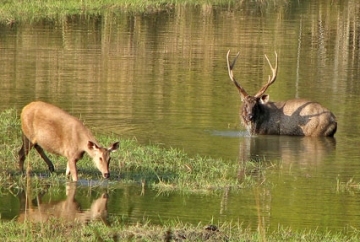 Sambar deer are strictly located in dense canopy and grasslands. During the month of March and April, it is interesting to see their antlers re-grow. Often these antlers are used in territorial battles. Chital are also known as Axis Deer and is an important part of ecosystem. These mammals are very fertile and thus carnivores which eat them attain more chances of survival. As soon as monsoon arrives, their antlers get parted with the body as soon as the mating is done. Female mammal gives birth to fawns (one or two) during winter season. Barking deer has relatively smaller size than Chital and Samabar and are mainly found near water bodies. They are named so because their alarm calling sounds like a dog’s bark. This is a bashful animal that quickly hides inside the bushes as soon as it observes any disturbances. Only male barking deer have horns, protruding from the brows. Sloth bear, as the name says, looks like a combination of sloth and bear. However it is an omnivorous being most of its diet is dependent upon vegetation, its favorite being honey and mahua fruits. The animal is relatively small if we compare it with arctic bears. In Central India wild dogs are known as Dhule. These mammals communicate not by barking but whistling. They are swift and are known to eat their prey while it is alive. Common Langur is found not only in forests but in rural area or some temples. Usually they are found in groups and share bounding with spotted deer. Leopard and Tiger both prey on langurs. Some Wild Boars in Bandhavgarh National Park were brought from Kanha National Park. This is mainly hill-animal that comes downhill or to the plain regions to feed themselves grass and have water. They live in groups consisting of females, cubs and sub-adult males. Females are smaller than the males and the herd size can be as big as forty heads. Males mingle with the groupduring winter season and later live solely or with other two or three male wild boars.